Black Friday is a great time to shop for phones, but unless you’re buying an unlocked device, you have to keep one thing in mind: there are almost always strings attached. You have to activate a new line, or be slowly reimbursed the money, or trade something in to get nearly every one of these deals. That’s frustrating, but it isn’t always as bad as it sounds. If you’re happy with your carrier, or if you planned to open a new line anyway, these confusing terms could very well work out. And it’s a good time to be shopping, too. Basically all of the year’s flagship phones came out in the last few months, so you can get deals on some of the best devices out there before they’re at all out of date. So long as you only want a Pixel, Google has some of the best deals around — it’s one of the few stores with no strings attached. The price is the price. Walmart has a bunch of a deals on iPhones and some recent Samsung phones, but they all require carrier activation — and the deal usually comes in the form of a gift card. So these are best for regular Walmart shoppers. Target offers similar deals to Walmart, but its gift card bonuses are smaller in most cases and offered on fewer phones. The deals are all in store only, from Friday through Sunday, November 25th. A lot of Best Buy’s phone deals are tied to carrier activation (frequently Sprint), but it’s also unique for offering one of the only discounts on unlocked phones, too. These are all running from Thursday through Saturday. Samsung has different deals for every single carrier, as well as deals of its own. In many cases, you’re going to be best off buying the phone unlocked — you’ll skip your carrier’s activation fee and get the same or better discount. But Sprint and T-Mobile do have some appealing offers of their own, and some don’t even require a payment plan. Apple isn’t the biggest fan of discounts in general, let alone Black Friday. So until the day of, we don’t know what, if anything, the company has in store. And in recent years, the company has been less and less generous with Black Friday shoppers, only offering small gift cards alongside select purchases. Last year, Apple offered a $50 gift card with the purchase of older iPhones — the brand-new models had no extra perk. So if you’re looking for a deal on an iPhone XS or XR, you’re almost definitely going to be better off looking elsewhere. The downside to Verizon’s deals is that they all essentially lock you in to a two-year contract, since your discount comes in the form of reduced monthly payments. But if you’re happy to stick with Verizon for the next two years, then there’s little reason to fear the hidden terms here — there are actually some solid discounts to be had. With one exception, the deals will only be available for two days, online Thursday and both online and in stores on Friday. AT&T hasn’t announced its Black Friday deals yet, but it has published a page where any new offers will appear. To be totally frank, Sprint’s deals seem like they’re designed to confuse you, and you can end up paying way more than expected if you don’t pay attention. There are deals to be had, but some serious reading of the fine print is required. The deals are available from November 21st through December 2nd. Note that while Sprint’s marketing suggests this is akin to a buy-one-get-one deal, you’re not actually buying either phone. 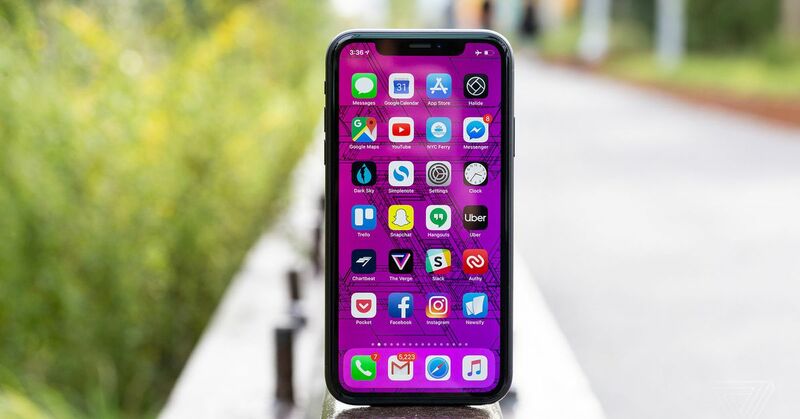 After 18 months, you either have to hand each one back, or pay the remaining balance on them — about a quarter of each phone’s total cost; ultimately, this is around a $550 discount off the price of the iPhone XR. T-Mobile’s deals all require some pretty specific circumstances. But they could still be appealing if you happen to meet all the right requirements. Both of these deals require a new line and for you to trade in an eligible device — for the most part, a flagship from the last two years. You also have to buy the device on a monthly payment plan, so that you’re effectively locked into a two-year contract. The deals are live now; T-Mobile didn’t say when they run through.